The Allegro 3’s ad budget was as limited as the facelift it represented. It’s not what it looks like. It isn’t my intention to cast over-ripe foodstuffs in the unfortunate Allegro’s direction; after all, why add to the sum of opprobrium already flung its way? Indeed today’s subject for discussion is not really the Allegro itself, rather the manner in which BL’s marketing department elected to advertise it – and in particular its third and final iteration. 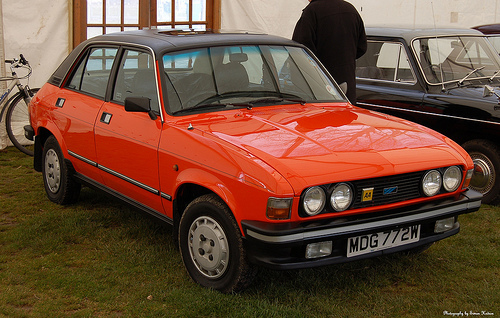 Following the model’s lukewarm initial reception, the Allegro received a hasty round of modifications during the Autumn of 1975. One of the primary criticisms had been a lack of rear legroom; the Allegro’s 243.2 mm wheelbase having originally been pegged to that of its 1961 predecessor. Modifications to the rear seat pan liberated a few additional millimetres of space, which was seized upon by BL’s marketers in a queasy TV spot which employed the tagline, “Vroom to Spare”. But to be fair, it was a different era and given the continued lack of enthusiasm towards the revised Allegro 2 from press and public, one can perhaps understand the rationale to go the dancing girls route. BL’s marketers clearly felt this execution had legs and subsequently the vroomy tagline would be appended across all Allegro 2 advertising, culminating in the somewhat laboured print ad seen below, where interestingly, the car itself receives a decidedly second billing. By 1979, with the corporation on its knees and what little Government money being predominantly channelled towards the forthcoming Metro and Maestro models, a final round of modifications was introduced. With no sheet metal changes possible, the car’s biggest impediment; its rather dumpy and by now somewhat dated styling could only be addressed with liberal applications of black injection mouldings. An improved cabin ambience rounded out what proved to be a rather desperate last stand, although arguably the most unfortunate of the changes was the adoption of twin headlamps on upmarket models, accentuating the already pinched frontal aspect. This lent it the visage of the Mini-based Ogle SX1000 from the 1960s, a car which I would add, carried it off with a tad more finesse. “SuperVroom”, yelled the promotional copy. 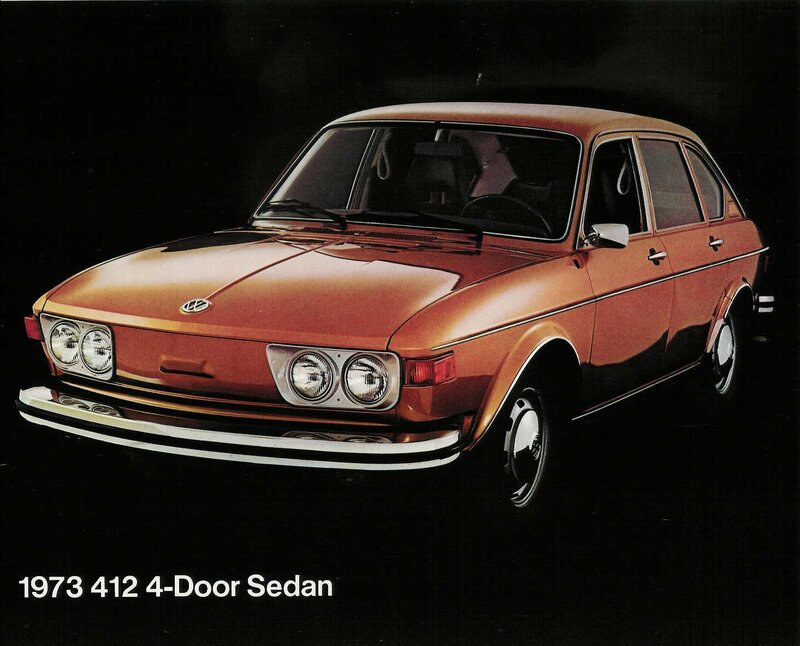 It’s possible here to discern the copywriter’s struggle to find a compelling angle – the repeated references to sporty-ness; (grille, wheeltrims, steering wheel), the ‘Jaguar-style‘ face level vents (a somewhat dubious honour in 1979? ), and the suggestion that the addition of a front air dam would improve wet road handling. Still, marks for effort, although you’d have thought the marketing team could have dredged up an actual photograph of the car from somewhere? Ironically, Allegro 3 had by this point been developed into a decent and moderately refined product. Car Magazine, having for years dismissed the ‘Boring’ Allegro 2 in its iconoclastic GBU section as “Dreary“, promoted the 1980 model to ‘Interesting’, faintly praising the revised car as “a happy if uninspired all-rounder”. 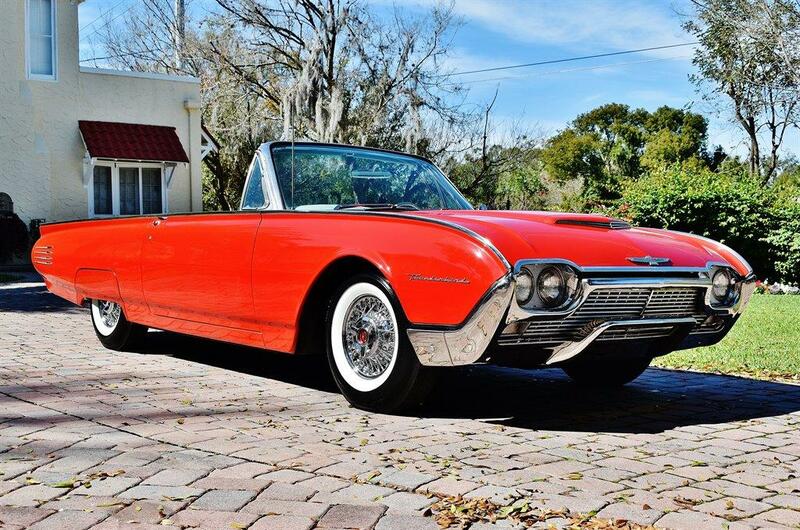 It was to little avail however, matters being lost on a buying public who saw only the homespun styling which merely served to remind them of the horror stories which had become synonymous with the car. Mud sticks. Not only was the Allegro on the ropes by the turn of the decade, but so was BL itself and the air of desperation and budgetary constraint was palpable. 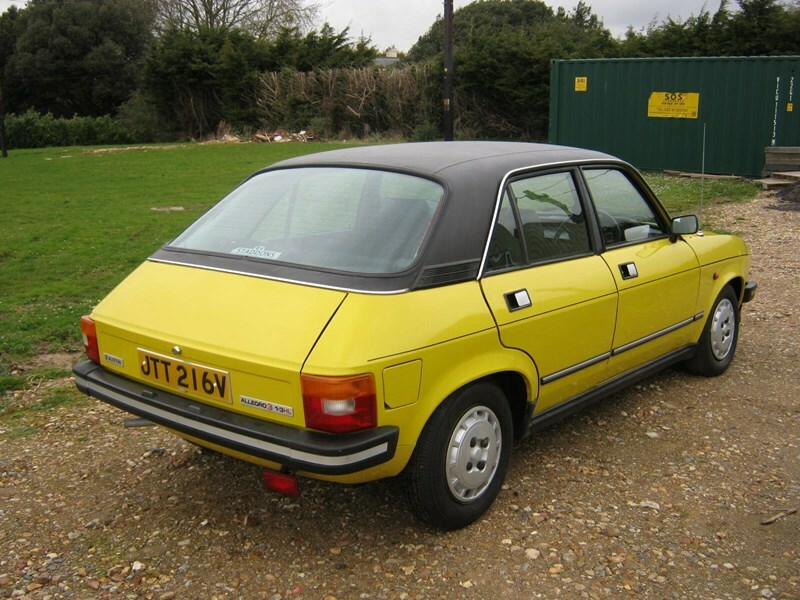 And while the Allegro 3 was probably the product it ought to have been at launch (styling notwithstanding), in time-honoured BL Charter fashion, a day late and a couple of quid short. That was a funny ad. Was it meant to be though ? Sometimes it’s the passage of time and changing tastes and social mores that makes things appear funny in retrospect. Not in this case: I well remember seeing that advertisement an TV at the time and thinking just how hammy it was. It even featured on one of those Clive James compilation programmes for its comedy value. I think it kind of looks like Wallace, of Wallace and Gromit, with the double headlights ! One of the anagrams of Allegro is ‘LOL RAGE’. How prescient. 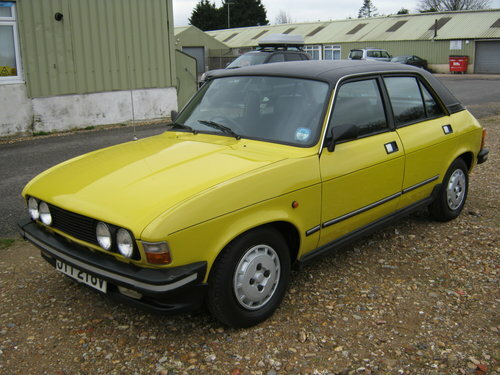 D’you know I never really thought about the Allegro. I don’t recall seeing many, if any, when I grew up. To be fair, before the Maestro/Montego era, BL, Morris, Austin etc…. are bit of a blur for me. But there are plenty of articles here to get acquainted with BL’s shady past. I mainly read about this car here. I’am not sure if I have a definitive opinion on it yet. I think there’s even a passing resemblance between the 3dr Allegro and the 304 Coupé. Eoin – Oh yes I agree the 304 coupé was better looking. It had nice details like the very Italian flying butresses (?) later found on the 406 coupé. NRJ: I see you and raise you. 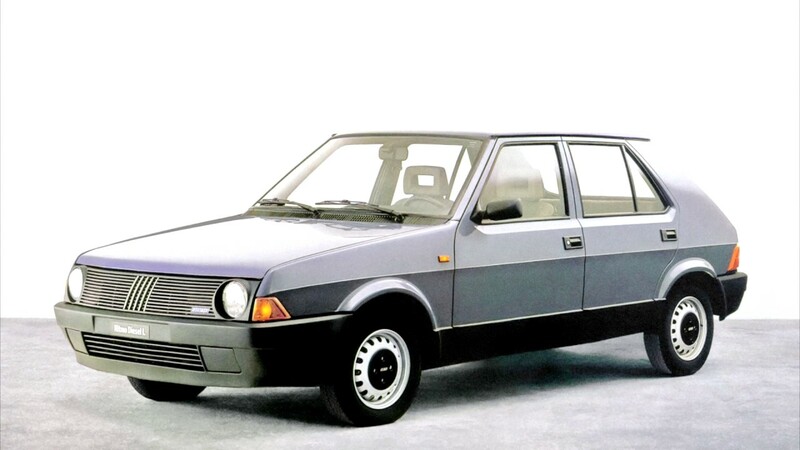 Behold the Autobianchi Primula Coupé in later, facelifted form. Allegedly the work of carrozzeria Touring, but I cannot confirm. Redolent of Maxi, Allegro and 304 Coupé, not to mention a number of others which don’t quite immediately spring to mind. So, NRJ, are you a fan? I have appended a photo of the Ogle SX1000 to the main article for the purposes of comparison. 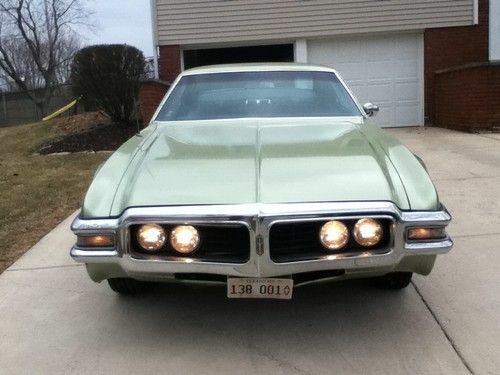 I’m not entirely sure where this idea of setting the headlamps inboard of the wing edges emerged- although I suspect it might have been from Dearborn. I suppose it could be seen as a repudiation of the Pininfarina line – a bit of a throwback to the pre-war era to some extent, but I cannot at this moment think of an instance where it proved to be a visually satisfying arrangement. Dearborn? Repudation? The 1952 Nash-Healey roadster begs to differ, note the logo on the front wing. Well recalled gooddog. Mea maxima cupla. 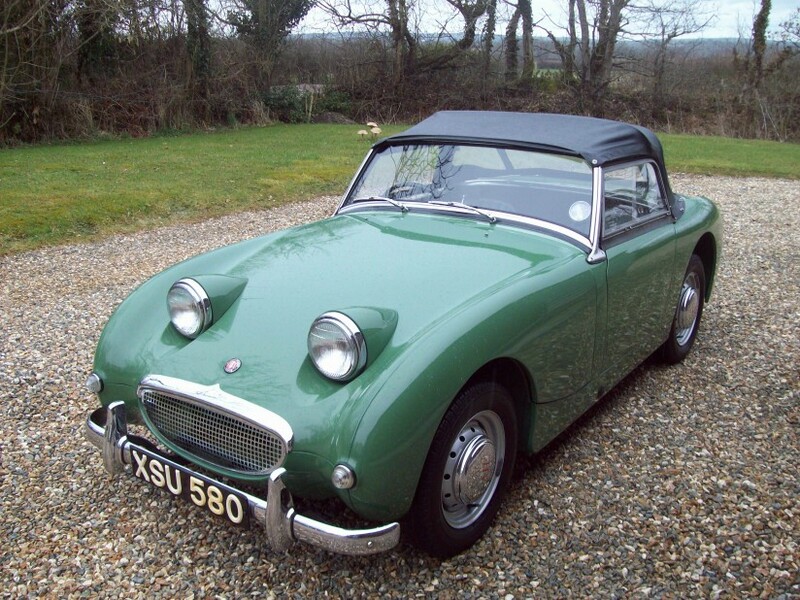 I had completely forgotten about the Nash-Healey. File under interesting, rather than attractive. ‘Farina reprised this treatment again (to an extent) with the 1965 Dino Berlinetta Speciale concept – the prototype which prefigured the ’68 Ferrari Dino. Mercifully, a more aesthetically pleasing headlamp arrangement was incorporated onto Aldo Bravarone’s production masterpiece. I’m still lost for a visually pleasing instance… Anyone? Dave, the Fiat Dino Spider is an interesting one. 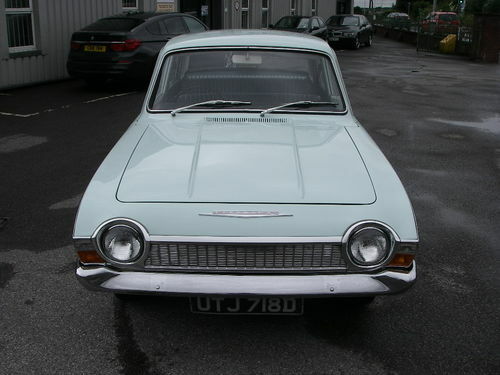 It does however differ in that the design of the front end does not particularly lend itself to any other arrangement, whereas in the case of the Allegro, Nash-Healey, Ogle Mini, et al, one can clearly envisage an alternative, more widely spaced headlamp placement. The Golf prototypes are new to me. Thank heavens sense prevailed. It could’ve been much much controversial with the Golf 1. Now that is ‘pinched’. As to “visually sayisfying”, I’m not getting any warmer, am I? Daniel, you posted a facelifted 603, a second guess, a meek step backward. IMO it is not unlike the facelifted Ritmo (or later Multipla) in intent and spirit. There, I’ve fixed it. Do cars need to have an anthropomorphic face to be visually satisfying? I think not, but then such a design needs to commit to being bold and shameless. Half measures satisfy nobody. 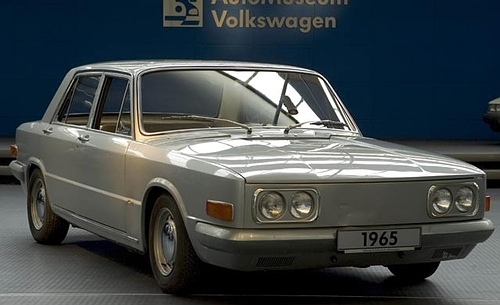 As an Allegro aside, an ex-Saab colleague of mine who escaped to BL’s Longbridge product planning department in the late 1970s, to avoid his Swedish national service, took great delight in once telling me about the ‘special edition’ Equipe; a ‘sporting’ two-door 1750 derivative (a British Alfasud Ti!) based around the Allegro 2. The Equipe sold so slowly that the model overran long into the Allegro 3 era, with a bell rung in the product planning team on the rare occasion a Leyland dealer actually sold one. 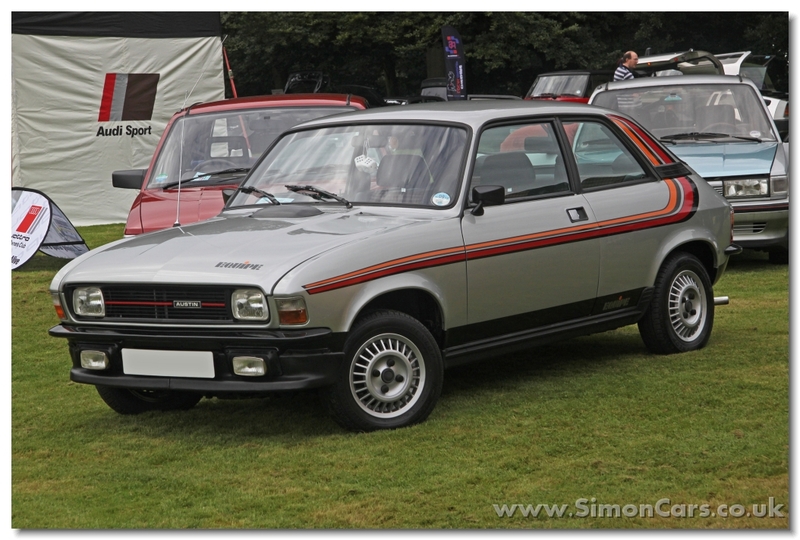 Some Allegro Equipes sat in stock (in fields) for so long that the natty go-faster orange, red and black side stripes had to be changed to a different design as they began to peel off. 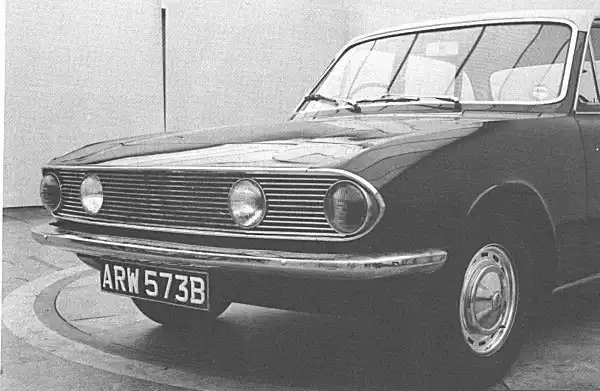 Oh, and as for the quad headlamp front end, we can thank the Belgian-built Allegros for first introducing this Ogle SX-eque style in range-topping Allegro 2 models in the late 1970s. Weren’t they the ones with the permeable alloy wheels (footpump not supplied)? 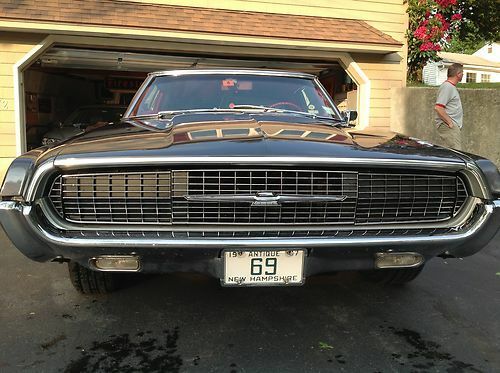 A case could be made for the older generation Mustang, although the other set of square headlights stymie the effect. NRJ: The original Ritmo works, because (in my opinion at least) it’s such a cohesive whole. However, there is so much that is unspeakably wrong about the facelifted car that the headlamp treatment pales somewhat – although the single units on the facelifted car are, in the words of Stephen Patrick Morrissey, criminally vulgar. Dave: I see what you’re driving (blowing perhaps might be a better word?) at with the Scirocco, but perhaps it’s familiarity (it’s a treatment Giorgetto employed a lot at the time) or perhaps there is sufficient visual width in the car, but somehow it gets away with it. 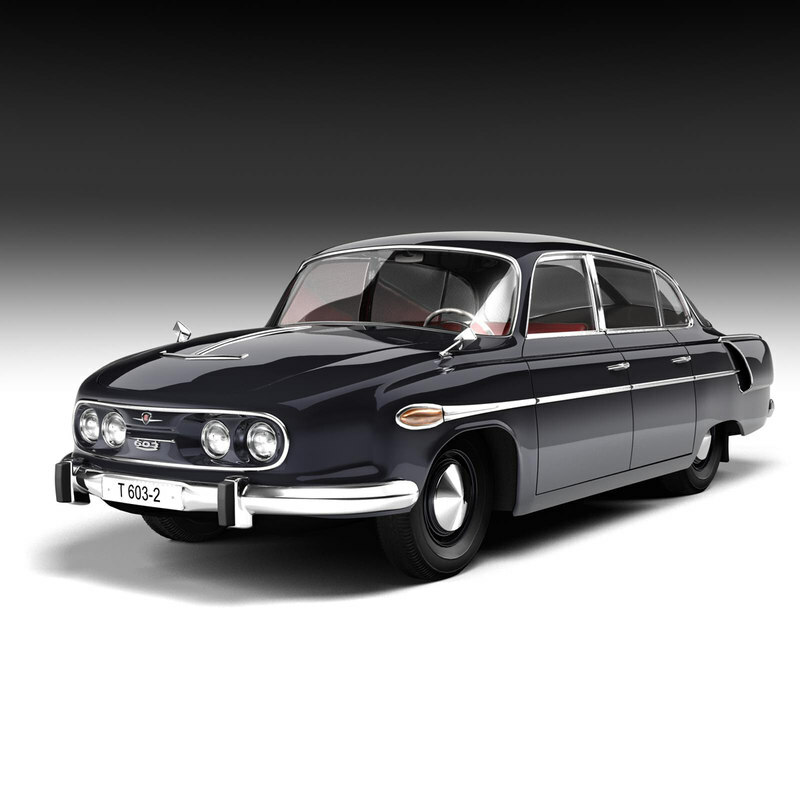 Daniel: I’d give the Tatra (any Tatra) a pass just because it’s a Tatra. But as for that Innsbruck proposal, what in heavens was Giovanni imbibing? Dear me! Eóin: At least to my eyes, there’s a striking similarity between Scirocco Mk1 and Golf prototypes pictured above. 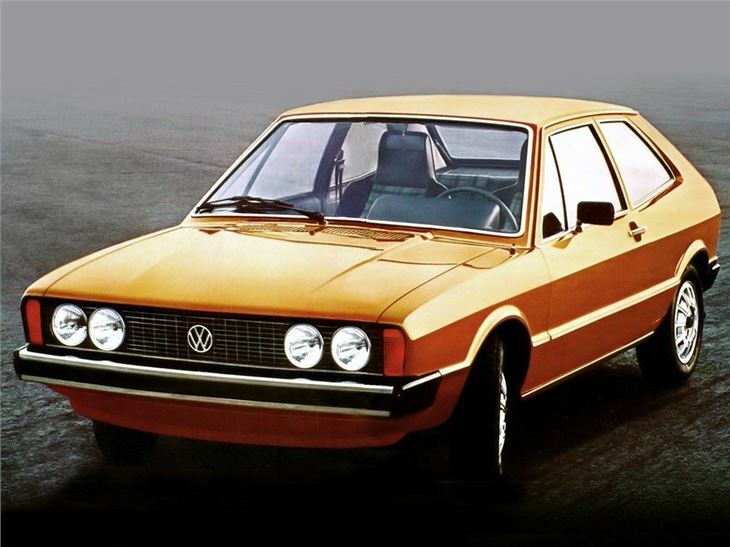 The Golf effectively was a single headlamp version of a common design which simply didn’t work. Thankfully, this version never made it to the UK. Volkswagen do seem to have been enthusiastic adopters of the inset headlamp treatment, as Dave has shown to illuminating effect above. In addition, one could see VW’s in-house stylists doing rather well under Dear Alec at Longbridge, insofar as they appeared to enjoyed a shared anti-styling enthusiasm. 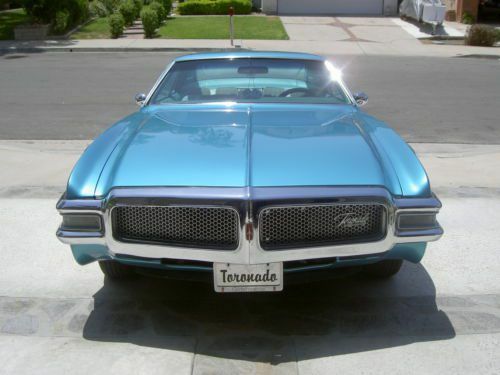 Certainly both carmakers desperately needed all the external stylistic help they could get. NRJ’s appended image of the Type 3 is a new one on me. Was it perhaps a South American version? Eoin – Yes I believe so, Brazil maybe. 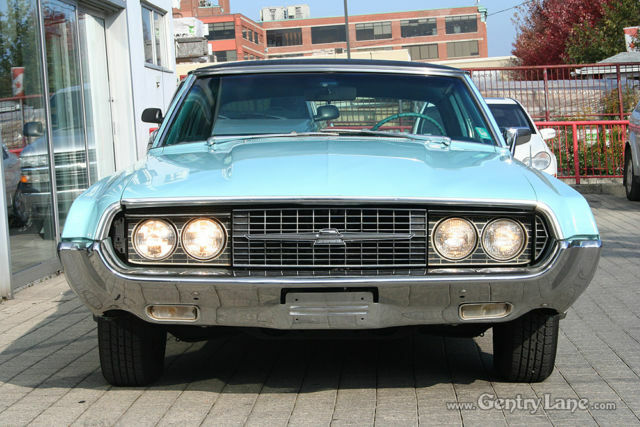 I prefer the 412 on the basis that, like the Allegro 3, the new headlamp position adds more oddness to an already odd vehicle. 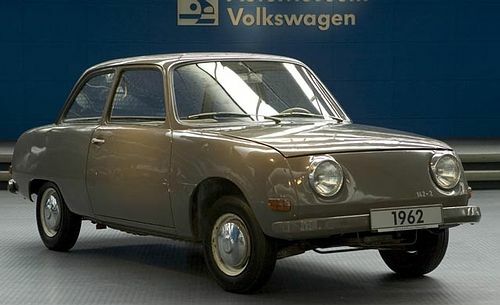 The pictured VW 1600 is from VW do Brasil and more closely related to Beetle/VW181 than to Type 3. The renault 4, Citroën 2cv and the FJ Cruiser. 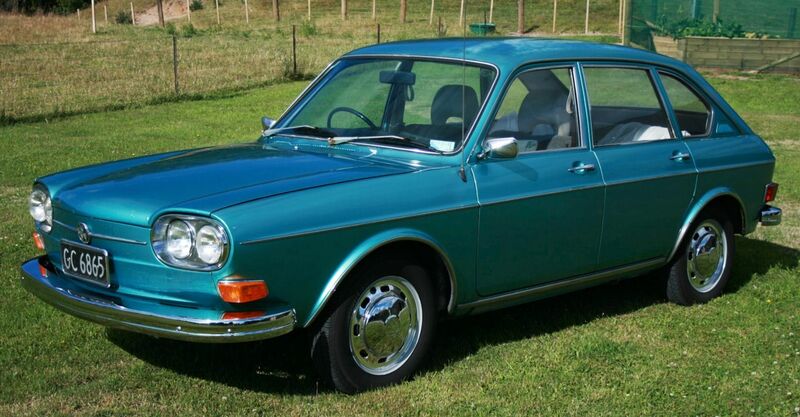 Hi Dave, yes, the Brasilia is quite appealing and certainly more useful than the Beetle on which it was based. Underneath the sporty exterior lurked a VW Type 3 Variant platform and a 1700cc air-cooled flat-four engine. VW do Brasil made a million Brasilias, so their creative freedom was used to good effect. Daniel, yes. It’s one of them. Actually, I’ve just thought of another – from the house of GM. The Sprite was intended to have pop-ups, so it gets a pass – anyway, it’s so unspeakably cute that any potential aesthetic arguments simply evaporate into thin air when offered up against to the white heat of its visual allure. Correct Daniel. Apropos the Corsair, I refer you to the 1961 ‘Jetbird’ (or Bullet-bird) iteration of the Thunderbird, upon which I believe the Corsair’s styling was loosely based. Arguably one of the more successful of the inset brigade, no? Definitely, Eóin. The inset look works much better with twin headlamps, whereas the Corsair just looks rather startled! I’am actually shocked to discover it had a ‘bubble’ rear screen before they were a thing. 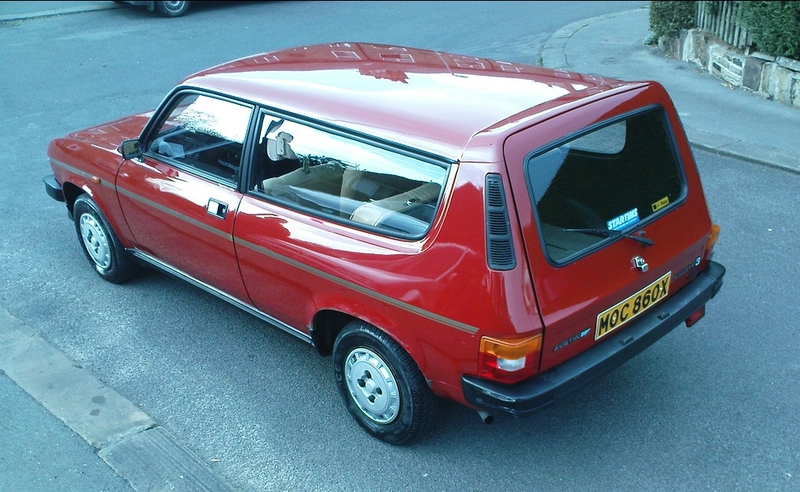 I grew up thinking the Renault 11 (which my father had and that I crashed and wrote off aged 14 after I told him I’am going to listen to the radio in the car. True story.) was the precursor with wraparound rear screens. This must have been quite a new thing then to be able to bend glass for a rear screen ? Maybe the marketing people missed an opportunity for the car’s USP ?